One bishop per city or region is what the canons call for. Yet, here in North America we have multiple bishops in one location. The Assembly of Canonical Orthodox Bishops are working to correct that, and today we speak with Proto-Deacon Peter Danilchick who is the liaison for the Canonical Regional Planning Committee. Learn about the importance of this task and how long it will take to get it done. For more information on this issue, we refer to you our documentary section - Unravelling Chambesy. Fr. 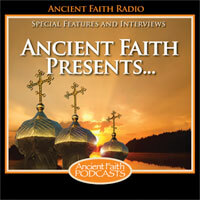 Andrew talks about the instruction of St. Ignatius on Church unity and Bishops.